Join the hundreds of families across New York City who have chosen Edison Home Health Care for themselves or their loved ones. Contact Edison Home Health Care today at 7184HOMECARE or email for a free, no-obligation consultation. Edison Home Health Care is dedicated to providing quality, personalized home care to the elderly and disabled. We provide services in the five boroughs of New York, as well as Nassau County. Our skilled and dedicated team of professionals and paraprofessionals offer medical, nursing, therapeutic and social support services tailored to the needs of each individual patient. Nursing: Registered nurses are on call 24 hours a day to answer questions, administer treatments, ensure that physicians’ orders are followed, and to provide direction and guidance to home health aides.  Home health care: Skilled, compassionate aides ensure that patients’ health care needs are met and the directives of the patients’ doctors, nurses and other medical professional are carried out. Among other things, they provide companionship and lend general to their patients. Personal care: When needed, our aides assist with the basic needs of patients, including bathing, dressing, grooming and meal preparation. Through such assistance, our aides enhance patients’ dignity and quality of life, while offering much-needed companionship. Homemaking: Our home health aides take care of patients’ everyday errands and shopping needs. They also handle light housekeeping tasks such as doing laundry, washing dishes, changing linen and general tidying. Physical & occupational therapy: Our therapists promote patient independence by helping patients maximize mobility and function, minimize pain, improve stability and learn proper use of needed equipment such as walkers, grab-bars and wheelchairs. Medical social work: Social workers evaluate patients’ social, emotional and psychological needs and help strategize and implement techniques to maximize the use of patients’ time, nurture satisfying relationships and maintain vibrant and fulfilling lifestyles. Nutrition counseling: Nutritionists pay careful attention to patients’ nutritional intake and develop tailored eating plans for those with special dietary restrictions, thereby ensuring that all our patients’ nutritional requirements are met. Speech therapy: Speech pathologists help patients improve and regain communication skills lost to injury or age, and also assist in feeding-related therapies.